Cracked, deformed, or stained teeth can hurt your self-esteem, which is why Scott Young, DDS, practicing in The Woodlands, Texas, offers custom porcelain veneers as a way to make your smile look and function better. 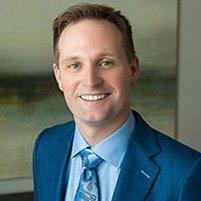 Dr. Young is a Fellow of the Las Vegas Institute for Advanced Dental Studies, the world's foremost authority on cosmetic and reconstructive dentistry.  Call the office or book your consultation online today for a consultation with the highly skilled team at Scott Young, DDS. Veneers are thin porcelain shells made to replicate the natural look of your teeth. Before bonding the veneers to your existing teeth, Dr. Young goes tooth by tooth to fit each veneer. Veneers correct imperfections like gaps, stains, cracks, or misshapen teeth. They also help fortify weak teeth. Although veneers can be made out of resin composite materials, porcelain is the most stain-resistant material, which is why Dr. Young and his team at Scott Young, DDS offer Emax® porcelain veneers. Porcelain also tends to match your natural enamel better. As a skilled cosmetic dentist who has performed more than 15,000 restorations, Dr. Young is confident in providing the highest quality porcelain veneers for your restorations. After a meeting to talk through the process and the results you’d like to see, you return for another appointment. Here, Dr. Young readies your current teeth for the shape of the veneers by scraping off a minimal amount of enamel from the surface. Once your teeth are prepared, he makes an impression of your teeth so the LVI dental lab can create custom veneers that are an exact fit for your mouth. The LVI lab is a top-notch facility offering only the highest quality services. When your veneers are finished, you return to the office, and Dr. Young fits the veneers one by one over your existing teeth. Once your teeth are entirely prepared for the bonding process, he applies a unique adhesive and light beam. This step helps the cement bond firmly to the porcelain, and voila! Once the cement dries, you have a new, upgraded smile. Book a consultation online or call the office of Scott Young, DDS in The Woodlands, Texas to see how easy it can be to improve your smile with custom veneers. Request an appointment online or call the office of Scott Young, DDS today.